Technology changes since the 90s has innovated the way we work. During the 90s information was communicated to clients from a public relations agency differently than it is today. 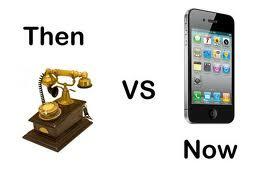 Technology has been the spark of change ever. The way that someone surfs the internet now is different from the way the internet was used in the late 90s. Today people can send information by email or use their phones to send an email. During the 90s public relations professionals sent information through fax machines. Not only did they have to fax information, they had to request the fax machine at a certain time in order to send news releases to press. On PR Daily Scott Signore shared ways that professional work has changed since the 90s. Signore gives great insight on how using technology for professional work has progressed. The Internet was, say, rudimentary at best. While professionals were even lucky to have the internet during the 90s there was a lot of text to read and few visuals. Obviously, much different than it is today. Web pages took a while to load versus today: now it takes about three seconds for a web page to become active to use. During the 90s email was available, but people rarely used their email accounts. People would send out emails and read them, but after the message was read the email would never be seen again. Clients stressed the issue that an agency having an email account was not a reliable resource. Also, clients were not comfortable using the email account if there was any account set up. Throughout the 90s telephones were the main form of communication to reach out to clients and press. Faxing happened with good regularity. During the 90s professionals had an allotted time slot to send information to clients. There was a fax list that professionals used in order to contact the press or the client. Also, when professionals faxed information to any organization a cover letter was necessary. Voicemail was a way of life. Throughout the 90s people would leave voicemails for clients in order to receive a response in an efficient manner. The professional would leave a recorded message that could be potentially picked up by another party. Now there are various forms of communication that corporations use in order to contact clients. Stuffing press kits was a BIG part of the gig. While creating press kits for the clients, agencies would stuff boxes with dividers between each news release. If there was an error found the information in the box had to be taken out and re-stuffed again. Press kits during the 90s were heavy and most of the information in the kit was mainly paper. While in the past the majority of communication was one-way, now people connect with audiences through social media, providing for two-way communication. During the duration of the 90s third parties looked at key messages to interpret and translate the message(s) before going forward to present the information to the client. The information that Signore provides is a great source of information about how organizations were able to communicate with their client(s) during the 90s, which has changed dramatically compared to today’s modes of communication. For more information about Scott Signore’s insight on how public relation professionals communicated with clients in the 90s check out the article http://www.prdaily.com/Main/Articles/14276.aspx#. What is your main form of communication with client(s) in today’s world? Free WiFi could mean: Hacker Alert!